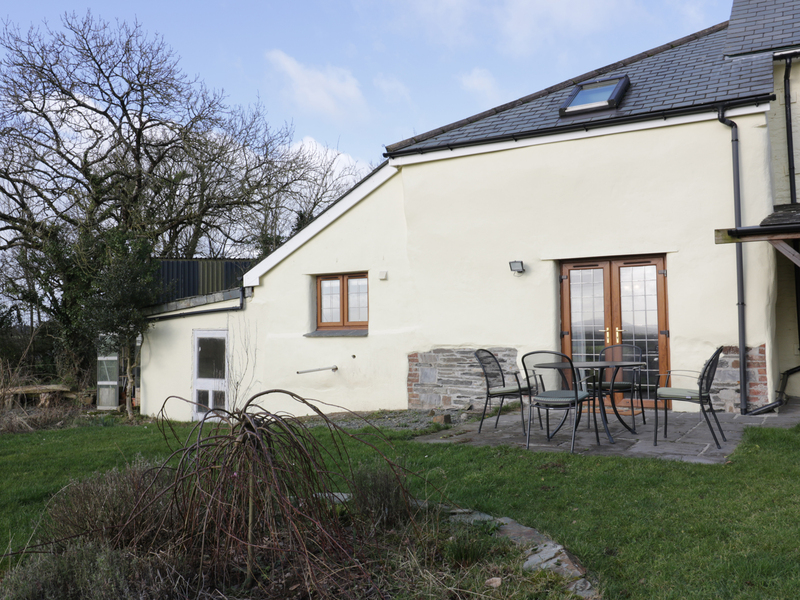 Lower West Curry Cottage is a charming beautifully renovated cottage situated near to Launceston in Cornwall. The cottage sleeps two people in one king-size double bedroom as well as a separate bathroom. The rest of the cottage is made up of an open plan living room with kitchen and dining area, a sitting room and a utility room. To the outside is off road parking for one car and a garden with patio and furniture. Set in a wonderful countryside setting Lower West Curry Cottage is a great place to enjoy at any time of the year. Calor gas central heating. Electric cooker with induction hob, microwave, fridge/freezer, washing machine, tumble dryer, dishwasher, TV with freeview, DVD, 4K Blue ray player, WiFi, selection of books, games and DVD's. Fuel and power inc. in rent. Bed linen and towels inc. in rent. Secure storage for bikes/boards etc. Off road parking for one car. Garden with patio and furniture. Three well behaved pets welcome. Sorry, no smoking. Shop and pub 3 miles. Note: The cottage can be booked with the adjoining farmhouse ref 954402 sleeping 10 in total. Note: Single sofa bed available, this will need to be requested via the owner before arrival.